Ill try to address the confusion over price projection later when we have more time! just remember the basic concept guys, unlike the cycles. 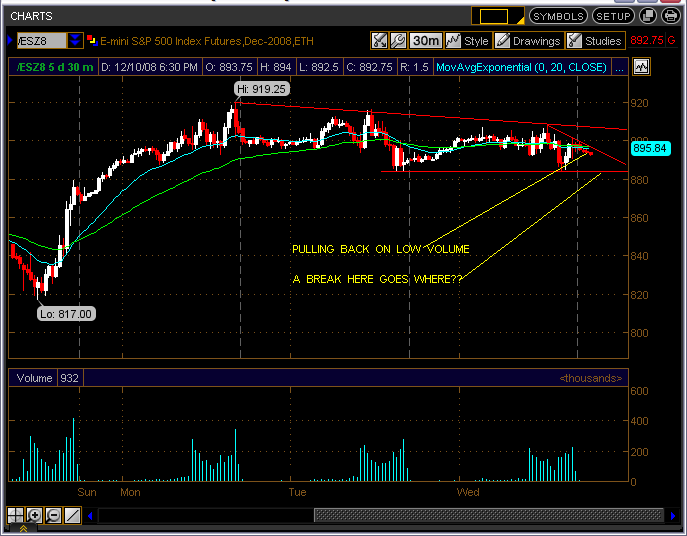 your looking for the initial thrust up off of a swing low before any pullback. AND conversely , any initial move down off of a swing high before any retracment back up. It is this initial move that gives you the number of points to 'extend' with 2.618 to see where the move runs out. kool, do you take this thrust or impulse is that taken off of the 5 minute chart?